I use 2300 as my second phone. I use 2 phone at same time. my another phone is nokia 3250. But its not possible to take N3250 at the time of rain or when move without car at night!!! More over By using 2 phone its easy to use 2 number at a same time. 2300 is a great phone. The sim which I mainly use is inserted at 2300. Specially I like the Radio option of this phone. Disadvantage is the key pad for writing sms. This phone is very good, specially its battery is work for a long time (approximately 1 weak). Style is so good. All over i think in black n white, it is the best phone. very good handset. I purchased it on oct2005. only thing is its keypad. always want to dial something else n it goes on another. but then also i luv it . its radio feature forced me to buy it on affordable price. call drops after 10 seconds..
i owned at Oct2004 . 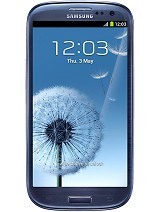 Actually this phone is nice but be carefull the loudspeaker is not better as i expected. But the style looks cool and hot.plus point is radio and minus point it loud speaker. i think this phone is very good. even though its not flip or slide up it dosnt really matter because all most people use their mobile for is texting! most people dont even use the camera on their mobile.. thats why they invented the digital camera! so over all this phone is not bad. the peace is good.to see ur handset information press *#0000# on ur phone.& see handset serial no. press *#06# on ur hanset. am forced to reconsider my decision.I saw this phone 2 years back.I was very much impressed by the look and its sleekness. as to buy it or not.But one thing is for sure.The FM quality is GREAT.NO MATCH.But going for 2300 is like GAMBLING. Plz dont go in for this phone..
it will make you feel sick. everybody knows this phone for girls. nice!! To all, who r facing software/firmware problems wid this N2300.... go to any recognised nokia service centre/certified technicion and ask them to update its firmware to the lastest firmware that nokia has released.